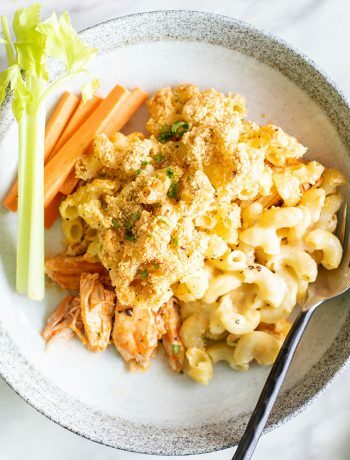 This delicious fall dinner is full of protein & fiber. 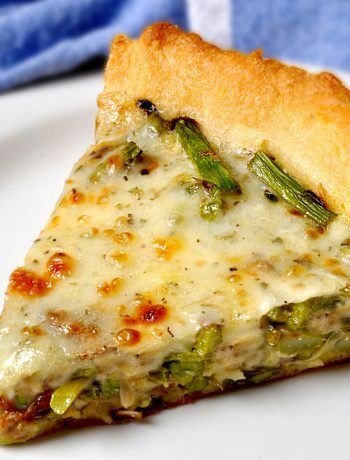 It is delicious and only takes 25 minutes, start to finish. Cut delicata squash into half moons – cut in half lengthwise, scoop out seeds, and then cut in 1cm slices. Toss with 1 Tbsp oil, salt, pepper, and garlic powder. Line your Broiler Tray with parchment paper. 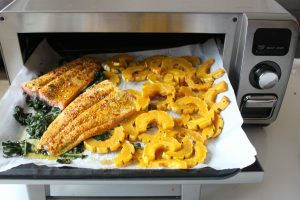 Put the squash in your Sharp Countertop Steam Oven – bake at 400 for 10 minutes. 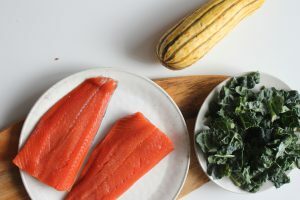 While the squash is baking, prep your salmon and kale. 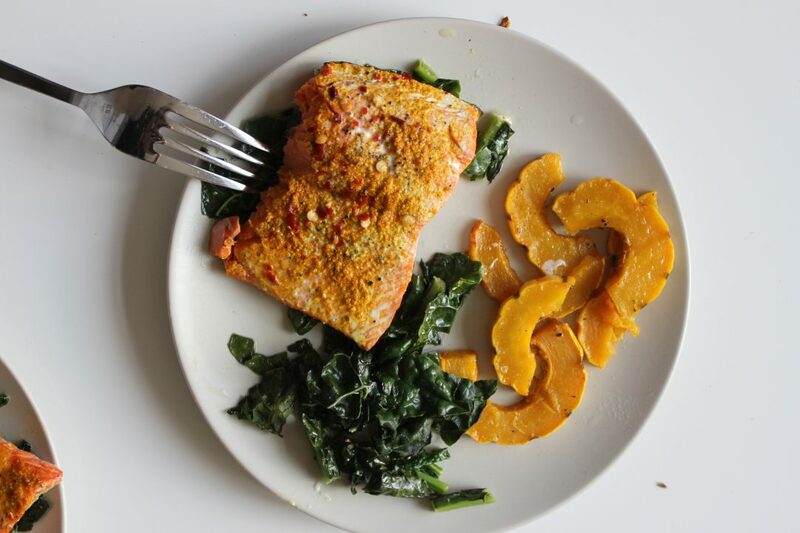 Top the salmon with salt, pepper, garlic powder, turmeric, and red pepper flakes, to your taste preferences. Massage 1 Tbsp of oil and some salt into the kale. Remove the squash, toss, and push to half the tray. Add the kale, with the salmon on top to the other side of the tray. Bake in your Sharp Oven at 400 for 8 minutes. Then, broil for 2 minutes. Put some squash, salmon and greens on your plate, and enjoy! 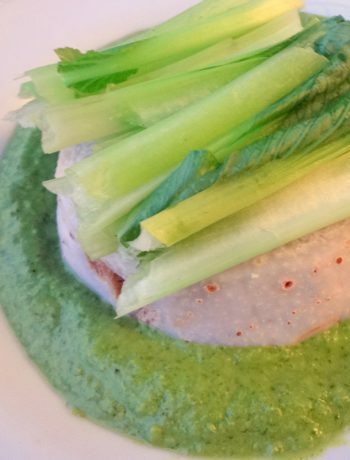 This recipe can be considered a complete meal with its protein, healthy fats, carbs, and greens. However, if you want to add a bit more depth to your dinner, some suggested sides are: Toasted Garlic Bread, Cilantro Lime Rice, or some Garlic Quinoa! Or, just some fresh bread to dip is Balsamic Vinegar & Olive Oil to keep things really simple.